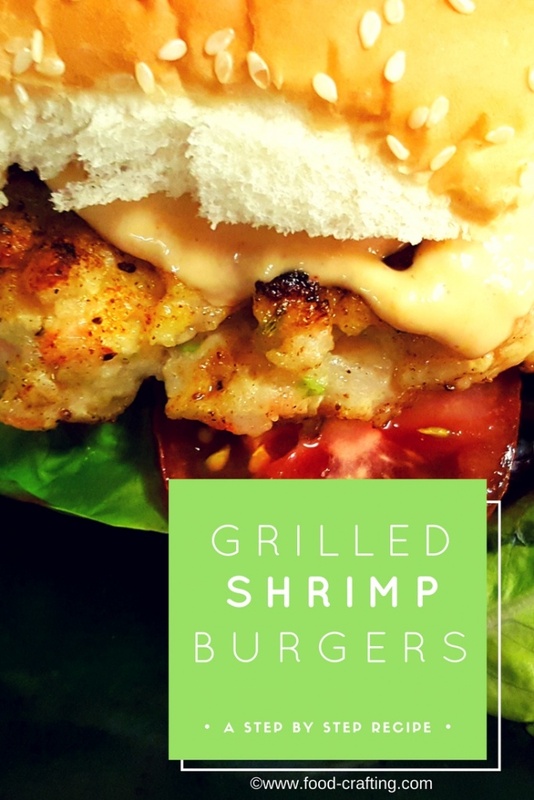 Grilled Shrimp Burgers Recipe – Do I have one? Yes, I do! When it’s hot outside, why turn on the oven? I choose one of our favorite grilled shrimp recipes and transport the entire cooking process outdoors. I know… it’s not grilling weather yet but we’ve had a short wave of warm weather. In a hurry? Check out these expertly prepared shrimp for the barbie and a selection of other seafood choices. When the thermometer starts to climb, instead of heating up the kitchen, we just move the entire cooking process outside. Grilling season will be upon us sooner than later. Long live the Weber® grill – charcoal and/or gas! Although it is nice to be able to simply turn a knob, nothing compares to charcoal grilled flavor. When shrimp are on sale, we always make room for them on the menu. 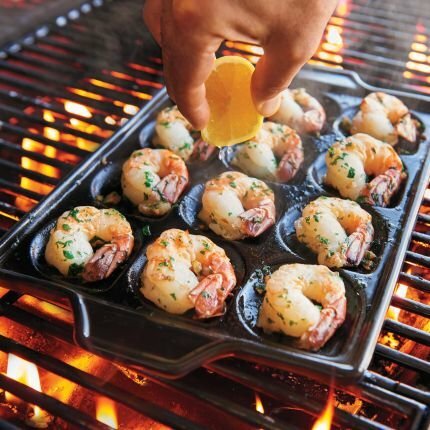 Ceramic Shrimp and Scallop Pan CC7688Perfect For Jumbo Shrimp!Pictured here is another great way to enjoy jumbo shrimp and sea scallops on the grill. Our kitchen cabinets store a select assortment of outdoor grilling paraphernalia purchased at Marshall’s or other such discount retailers around Woodbridge, Virginia. Some of my favorite grilling pans include a rib rack, a rectangular basket, a rack for skewers [think yummy kebabs!] a wok, and a flat pan. Get a flat grid to keep all the small pieces from falling through the rack. It’s perfect for swordfish, tuna, salmon fillets and shrimp burgers! It’s time to share our recipe for the most requested grilled shrimp dinner – a grilled shrimp burgers recipe. Here is a family favorite pulled from the grilled shrimp recipes folder. By the way, this recipe works just as well when prepared indoors! 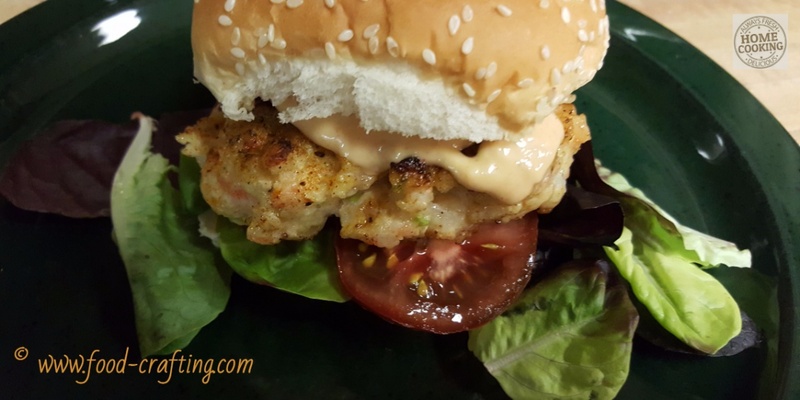 Call them shrimp burgers or shrimp cakes but whatever you do, enjoy this variation on the more expensive crab cake! They are perfect for outdoor grilling but you can prepare them on the stove during any season. One jumbo egg – or none. I’ve tried it both ways and I prefer it without the egg. 2 to 3 tablespoons mayo. Any mayonnaise will do but I keep this one in the pantry. Beat eggs along with other wet ingredients. Add green onions, shrimp and coarse bread crumbs. Mix gently until combined. Form into 6 good sized patties. We use a thin grill or the flat pan. 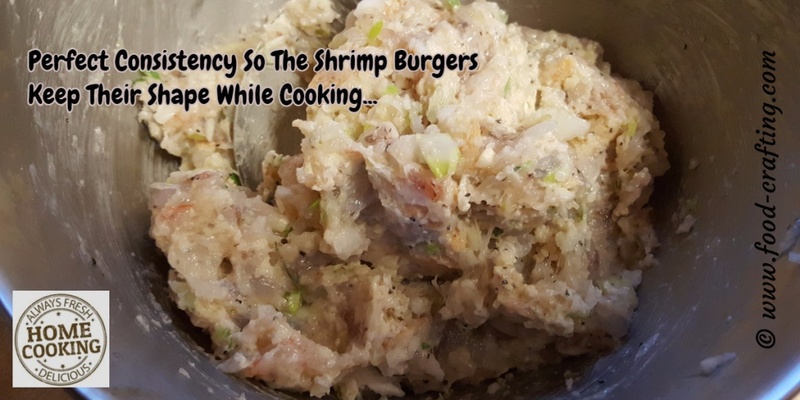 Moisten with cooking oil so the shrimp does not stick and it is easier to flip the shrimp burger. Use a pre-seasoned grid over a medium fire. Figure on 4 to 5 minutes per side until shrimp burgers are pink and opaque. The patties should be golden brown but take it easy when flipping them. They break apart easily. These very same grilled shrimp recipes can be dressed up…opt for placing the shrimp mixture in individual, buttered ramekins or maybe a huge shell for a more formal occasion. While these patties are very delicate and difficult to handle, you can eat them in a bun. At first I thought it was a lost cause but if the ratio of bread crumbs is just right and the pieces of shrimp are not too large, you can get a shrimp patty that holds its shape. Savor these crispy seafood patties with nothing more than a great sauce (like home-made aïoli or some spicy Louisiana® Rémoulade Sauce, on a bed of crisp lettuce and thinly sliced Kumato tomatoes. If you want to prepare them to eat on a bun…add a little more bread crumbs (4 slices of dry crumbled bread) and perhaps a little more mayo to bind the shrimp. 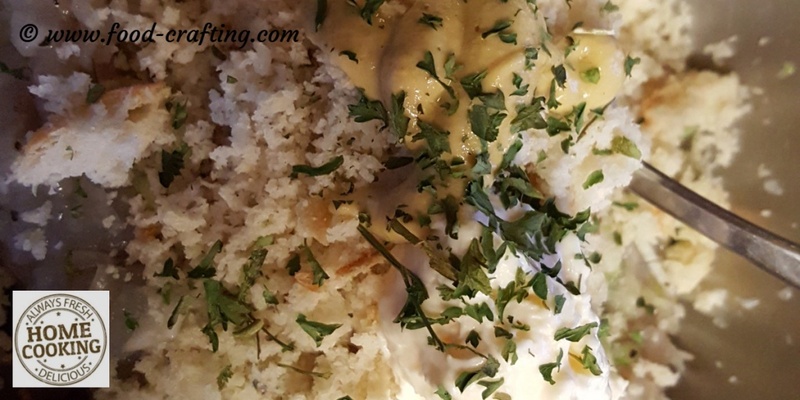 The shrimp bits are not going to bind to the bread the way crabmeat will. Be extra careful while handling the patties. This recipe also works indoors! 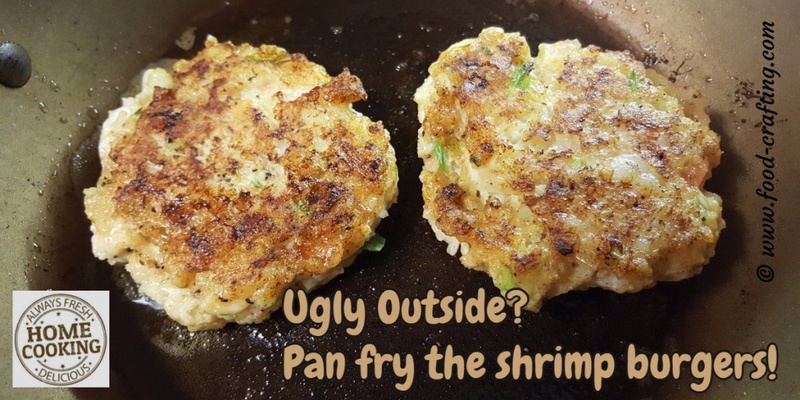 Pan fry the shrimp patties in a small amount of oil, flavored with a couple tablespoons of butter. The shrimp are raw so you will need to cook the patties a little longer per side than crab cakes. They don’t turn pink quite as visibly in this mixture. 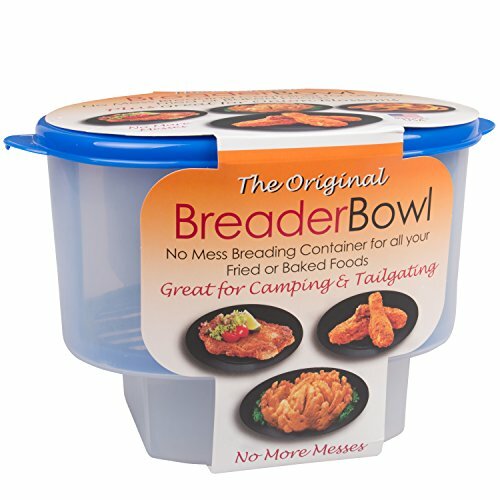 My favorite non-stick frypans for preparing pan fried foods of any type? Aubecq . I use the 8 inch pan exclusively for eggs and the 10 1/2 inch pan to pan fry chops or steaks. Love the way the thick 3-ply bottom and sides distribute the heat quickly and evenly. Wipe them clean with soapy paper towels, rinse well and they are good to go again. Iced green tea and a berry shortcake or cobbler to finish off the meal. 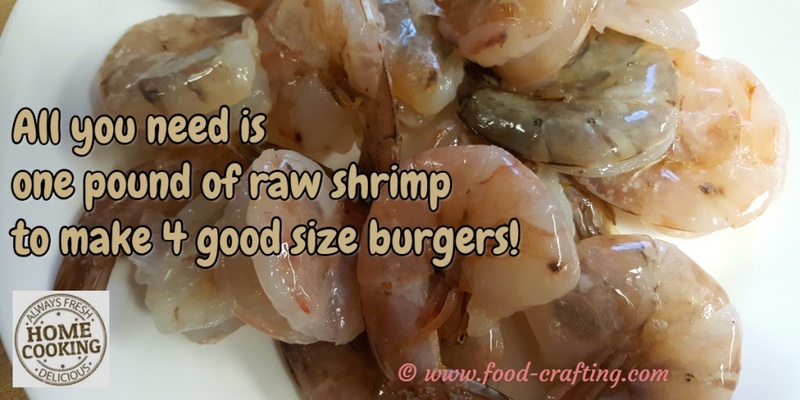 Note: Raw, peeled and deveined shrimp at available at the seafood counter at all our major local supermarkets. Our last shrimp purchase cost $8.99/pound. We precook the corn, then butter, season, wrap in foil and place on the grill. Shrimp cook quickly so fix them last, when everything else is ready. How do you prepare colossal shrimp? In other grilled shrimp recipes, we’ve skewered them, broiled them and recently we grilled them outdoors. We love to eat shrimp in a variety of dishes. Do you have a favorite grilled shrimp burger recipe? Do tell! Go ahead…share your grilled shrimp recipe with our readers. We’ve opened this post for comments. There’s more than one way to handle those U-12s!